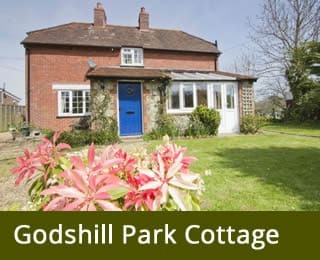 Godshill Park Farm on the Isle of Wight has hosted many bed and breakfast guests in the farmhouse and self catering guests in our comfortable cottages over the years. The peace and tranquillity on the farm lend themselves to a superior retreat experience. Some years ago we also began hosting yoga retreats and Dementia Adventures. These proved to be so successful that we needed more accommodation and decided to convert an old barn into a lovely space with fantastic views, room to practise yoga, additional bedrooms, dining room, kitchen and balcony overlooking the farm. 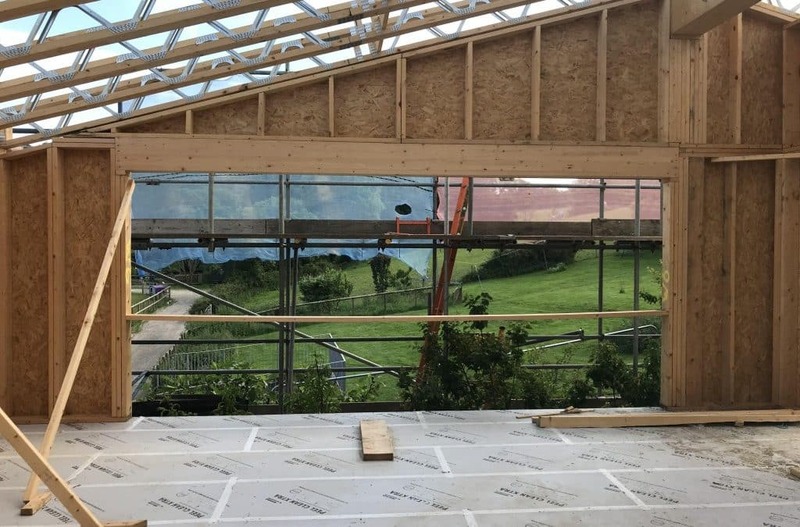 This new barn conversion is progressing rapidly – the old redundant agricultural building has been largely dismantled (only the concrete walls remain) and in its place we have a light bright upper level of new accommodation. 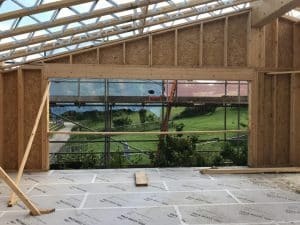 The yoga studio will have a large picture window overlooking our farmland and grazing animals – it will be a yoga studio when we host our popular retreats and a sitting room when other guests stay with us. Details of our yoga retreats can be found here. 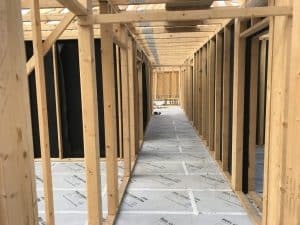 The four new en suite bedrooms will have either king size or twin beds and will be available for guests to book for bed and breakfast. The views from the first floor are amazing! We pride ourselves on offering dementia friendly accommodation. 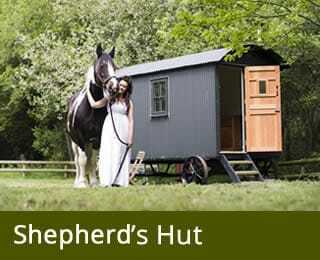 Dementia Adventures take place here throughout the year. The building will be ready in October/November and we look forward to welcoming old and new guests to this lovely building after that time.